There is no doubt that the FIFA Soccer World Cup has had a huge impact on tourism and South Africa as a whole, but what impact has it had on the property market in terms of foreign investors and real estate evaluation? Experts agree that the World Cup had been hugely successful in terms of foreign investment on the South African real estate market, with the increase in exposure and visitors playing a vital role in the property industry. Property prices are at a premium, especially in the highly sought-after areas across the country such as Sandton, Bishops Court, Camps Bay and other key residential areas. What does this mean for local homeowners seeking to invest in property, and will this influx of investment set a long-term precedent once the World Cup fever has died down? The Times Live recently reported that many celebrities are considering South Africa for property investment, with many estate agents noting an increase in high profile viewers over the month of the World Cup. Coastal properties are especially attractive to celebrities seeking property in South Africa, in particular the high-end suburbs of Cape Town’s Atlantic Seaboard. Other members of the elite and extremely wealthy, such as dignitaries and political figures have also been taking an interest in the country’s property market, with visitors from the UK, US, Italy and France especially interested in owning property in South Africa. Estates such as the exclusive Pezula Estate on the Garden Route have attracted sporting celebrities such as Nick Price, Roger Federer, Jonas Bjorkman and Graeme Smith, while many A-list celebrities have chosen select Cape Town property – sneaking in incognito when they need to escape the crowds. It goes without saying the types of properties that appeal to celebrities are far beyond average. 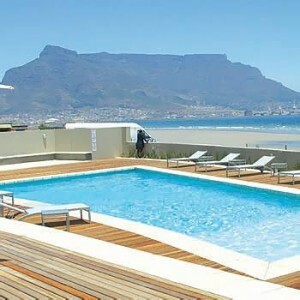 Some of the country’s premier real estate can be purchased at anything from R15 million to R100 million and even higher, whether these are towering glass mansions overlooking the Atlantic coastline, picture-perfect apartments in the heart of Sandton or sprawling homesteads in the Constantia green belt. One of the most expensive and exclusive properties on the market includes the spectacular R110 million property in the Waterfront area of Cape Town – situated at the top of The One and Only hotel. Launched by the iconic Sol Kerzner, this penthouse has it all; views, location and the ultimate luxury. The World Cup and its related success will see property values increasing as the interest and demand among foreign investment grows, giving even more value to property in South Africa. As any property management company can attest, now has never been a better time to invest in this hugely sought-after property market. We are at the end stages of our various expansion projects, some of which include, bigger offices, additional staff, a revamped website and new partnerships which have been put in place to ensure our clients maximum growth and optimum service at all times. It seems 2010 has given the much needed injection of excitement and motivation into the industry evidenced by the increased movement in the market which seems to be growing on a monthly basis as the long awaited Soccer World Cup draws closer and closer to a reality. As most Property Management agencies begin to increase their prices for 2010, our pricing structure will remain as per usual for the foreseeable future as the pockets of South African citizens will be one of the major casualties of the Soccer World Cup. We are doing everything possible to protect the investments of our clients, both short and long term. Our primary objective is to maintain the wealth of South Africans by not jumping on the 2010 bandwagon of increased prices motivated by the attraction to the abundance of foreign currency which will be flowing through our country this June. The publication of articles written by both myself and other staff members form the beginning of the new (and hopefully improved) interface of the company, through which we hope you will learn more about us and the team behind our property division. Why Do I Pay Levies? In short, levies are payable for the upkeep and general day-to-day running of the common areas. Levies provide the Body Corporate with the funds required to meet monthly expenditure and, in most cases, also allows the Body Corporate to build up a Reserve Fund over time in order that funds are readily available should the Body Corporate need them. The Reserve Fund is used either in the case of unforeseeable repairs (any items which may need to be repaired) or foreseeable property maintenance (ie. Painting of the building). By having a Reserve Fund, the Body Corporate is ensuring that maintenance or improvements to the building can take place without placing additional financial strain on the owners within the Sectional Scheme. In order for a Body Corporate to maintain its financial health, Levies need to be received on time on a monthly basis in order for the Body Corporate to meet its monthly commitments in terms of expenditure. Although many owners do not see the necessity of making monthly levy payments on time, it is very important that levies are paid on time monthly for the Body Corporate to function properly. I hope you find this new section informative and look forward to receiving your questions for the next edition. Who must maintain the window frames of my property? Section 5(4) of the Act provides that the common boundary between any section and another section or common property shall be the median line of the dividing floor, wall or ceiling, as the case may be. If the frames are flush with the exterior surface of the wall, they are likely to be entirely common property. If they are flush with the interior surface of such walls, they are likely to form part of the sections. The third possibility is that the width of each frame extends on both sides of the median line or mid-point of the exterior wall. In this case the frames will be partially common property (the exterior portion of the frame) and the balance of the frame will form part of a section. 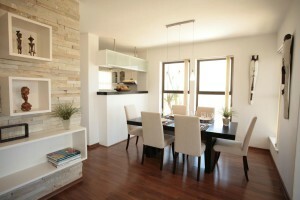 If the window frame forms part of a section, the unit owner bares the responsibility of maintaining the window frames. In terms of section 44(1)(c) of the Act each owner is obliged to repair and maintain his section in a state of good repair. Thus the body corporate has no primary responsibility in regard to maintenance of the window frames where they form part of sections. Prescribed Management Rule 68(1)(iv) provides that an owner shall not do anything to his section or exclusive use area that is likely to prejudice the harmonious appearance of the building. Accordingly any owner who wishes to replace a window frame which forms part of this section and which is visible from the exterior of the building should first obtain the consent of the trustees. If the window frames are entirely or partially common property. We can deal with these two possible cases together because where a part of the frame is common property it must inevitably be that part which is exposed to the elements. If the window frames are entirely or partially common property the body corporate is responsible for their maintenance. Section 37(1)(j) of the Act provide that the body corporate is obliged properly to maintain the common property and to keep it in a state of good and serviceable repair. In these circumstances the body corporate clearly cannot require individual owners to pay the cost of replacement of the window frames. In practice, it is most common found that in maintaining or replacing window frames, the Body Corporate and section owners usually share the costs for maintenance or replacement. Whether you own a small apartment or large premises, property management will be able to save you a fortune in expenses as well as stress. Despite the fact that many property owners think that they can handle all aspects of managing a property without the help of experts, it is all too often much more difficult than it appears, and to ensure effective management of resources, property owners need to be careful about hiring inept fly by night companies who are not equipped to manage properties. A recent news story about South African Police Commissioner Bheki Cele and his mismanaged team of property managers has brought home the importance of ethical and accountable management – regardless of the size or nature of the property. The SAPS has come under a lot of fire for allegations of mismanaged funds, which are reportedly in the region of nearly R7 million. Residential apartments, especially those that date back to the 1970’s and thereabouts, are able to stay maintained and well-kept with proper property maintenance and management. From simple things such as replacement of floors, taps or windows, to full renovation and restoration of older flats, properties are able to get a new lease on life, making them solid investments that will attract tenants year after year. With so many new apartments on the market, older apartments are often bypassed for trendier properties – however with regular renovation and upkeep, older blocks are able to continue keeping up on the highly competitive property rentals market. Property owners no longer have to deal with ongoing disputes about rent increases, leases and deposits, as management companies are able to deal with all admin and related issues on the owner’s behalf, from concerns about property development to any other issues that may arise. Many landlords have full-time jobs in addition to managing their property, and face endless problems dealing with tenants at all hours of the day – something which eventually leads to service levels dropping as issues build up. A good indication of a reputable management company is the way that they handle disputes and the effectiveness of their operations. With the right management company, not only will property owners cut down on the amount of concerns that they need to deal with, but future disputes will be minimised with proper management solutions and services that are provided by the outsourced company. Many landlords avoid hiring property management companies as they are concerned about forking out to pay for management services. In the long run however, these companies can actually help save costs – with excellent contacts on repair services, and admin kept up to date, things run a lot more smoothly, minimising on wasted time and keeping costs down by carefully managing funds. Many management companies are also able to negotiate discounts with bulk wholesalers, to help you save even more on contracting costs and supplies for renovations. For fuss-free operations and quality service, property management companies offer a highly beneficial way for property owners to manage their properties easily and simply.